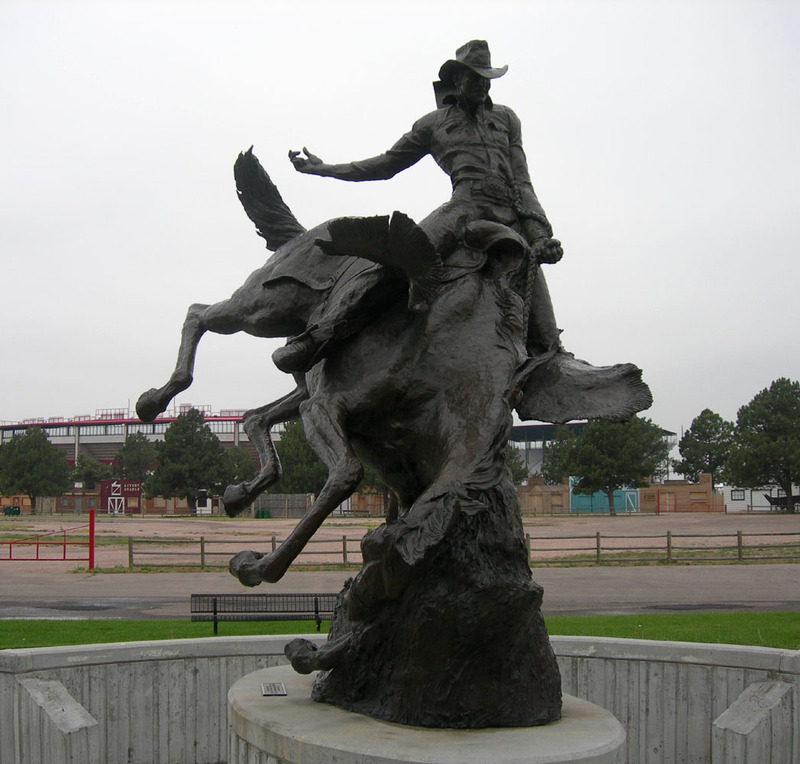 Bucking Bronco monument; Frontier Days Museum in Cheyenne, Wyoming. Photo by Jimmy Emerson, DVM/Flickr (Noncommercial Use Permitted with Attribution/No Derivative Works). 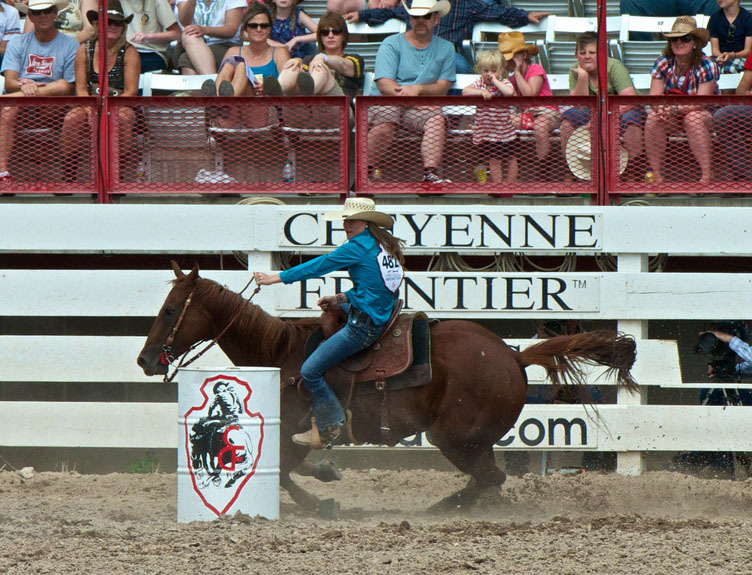 The world's largest outdoor rodeo is held at the annual Frontier Days celebration in Cheyenne, Wyoming (held since 1897). Florida, South Dakota, and Texas also recognize rodeo as the state sport. 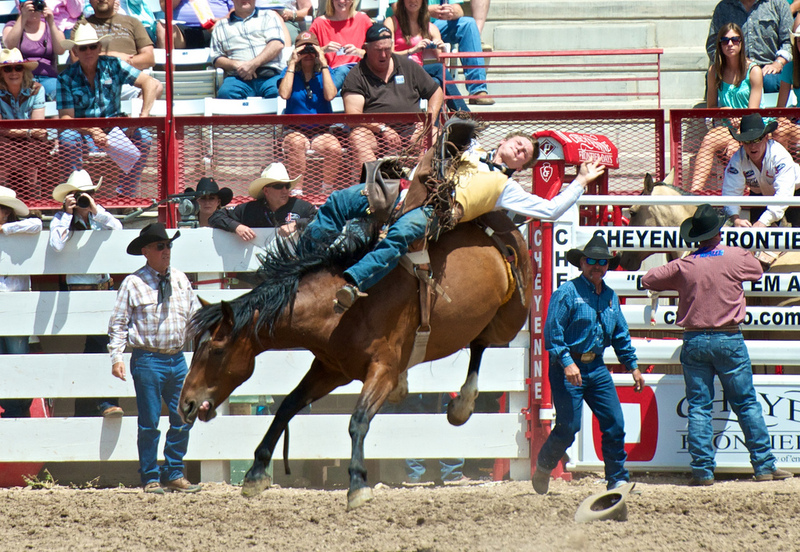 Cowboy on bucking bronco; Frontier Days, Cheyenne, Wyoming. Photo by Adrian Hu/Flickr (noncommercial use permitted with attribution/no derivative works). Barrel rider; Cheyenne Frontier Days, Wyoming. Photo by Adrian Hu/Flickr (noncommercial use permitted with attribution/no derivative works). 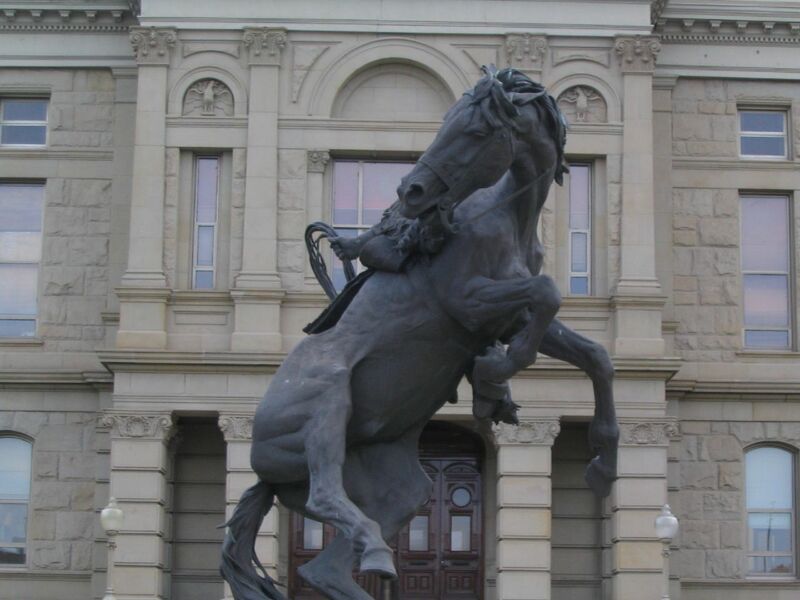 Bucking Bronco statue; Wyoming state capitol in Cheyenne. Photo by Ken Lund/Flickr (use permitted with attribution/share alike). 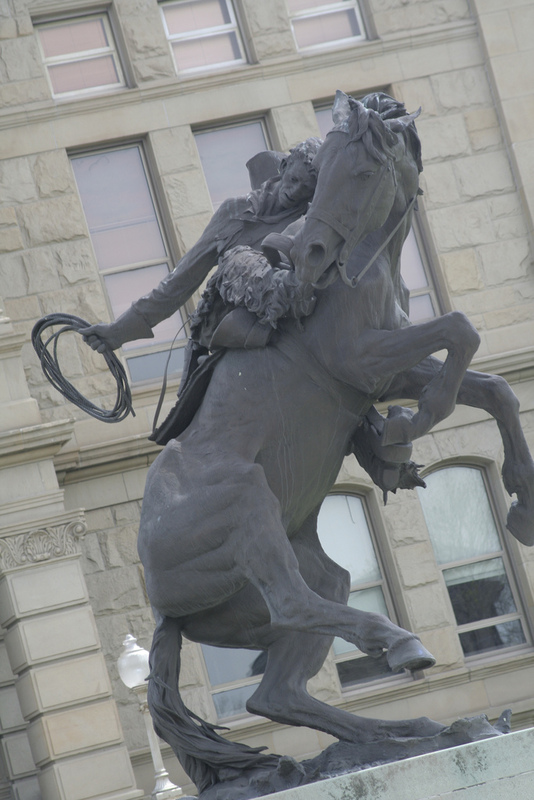 Bucking Bronco statue; Wyoming state capitol in Cheyenne. Photo by Amy the Nurse/Flickr (noncommercial use permitted with attribution/no derivative works). 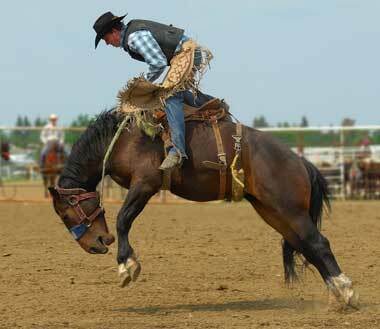 Rodeo cowboy on horse; photo © Roy Mac on Flickr (all rights reserved; used by permission). 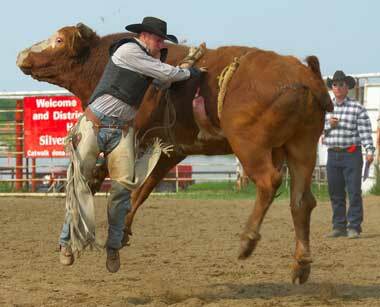 Rodeo cowboy and steer; photo © Roy Mac on Flickr (all rights reserved; used by permission).